Most of the planes of existence in Magic's lore are based on the use of magic — it's a card game about players flinging spells at each other, after all. But the plane of Kaladesh is different, because what would be accomplished by magic elsewhere is done with technology. Now we have a sneak peek at some of the cards players will find when they head there later this month. 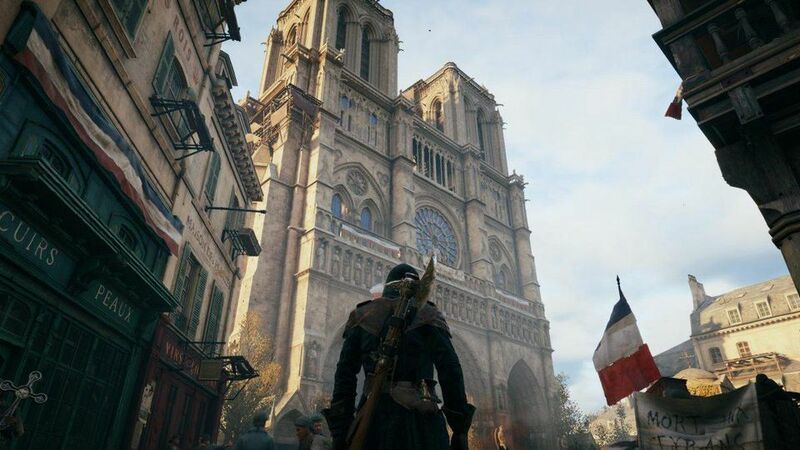 The 72nd (!) 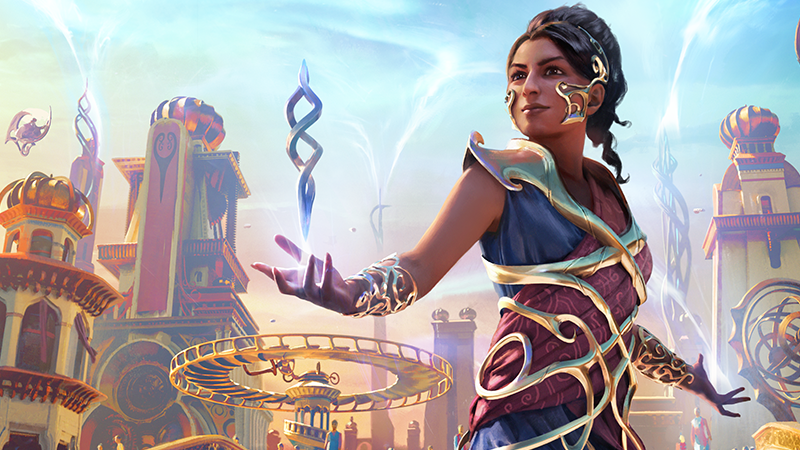 expansion set for the venerable card game, Kaladesh takes players into a plane — the home of memorable Planeswalker hero Chandra Nalaar — that's yet to be fully explored within the confines of Magic: The Gathering's story. 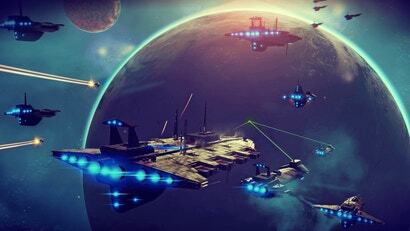 It's a place where technological marvels are powered by a heavily-trafficked cosmic element called aether, and naturally-occurring magic is a rarity. 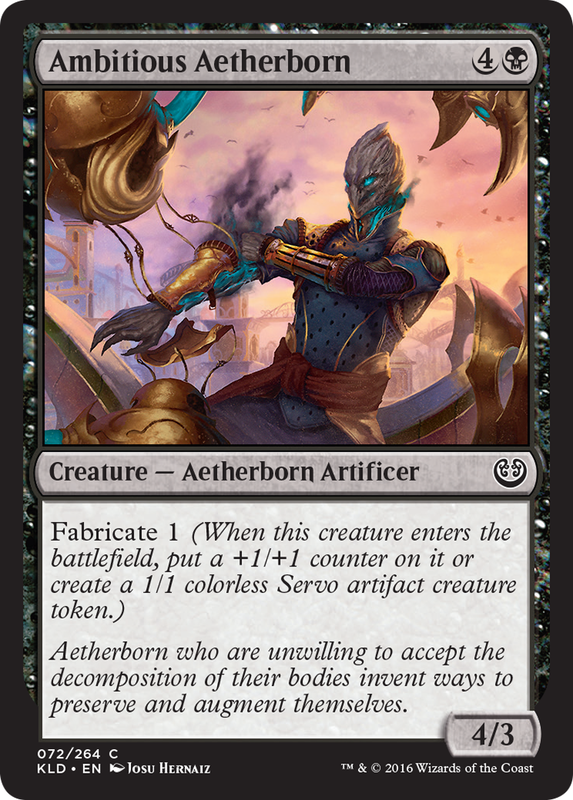 Which means that instead of calling upon powerful magics and giant monsters in your new decks, you'll be summoning inventors, automatons, engineers and their creations to do battle on your behalf. Check out eight of the new cards featured in the 264-card set below, making their debut here. 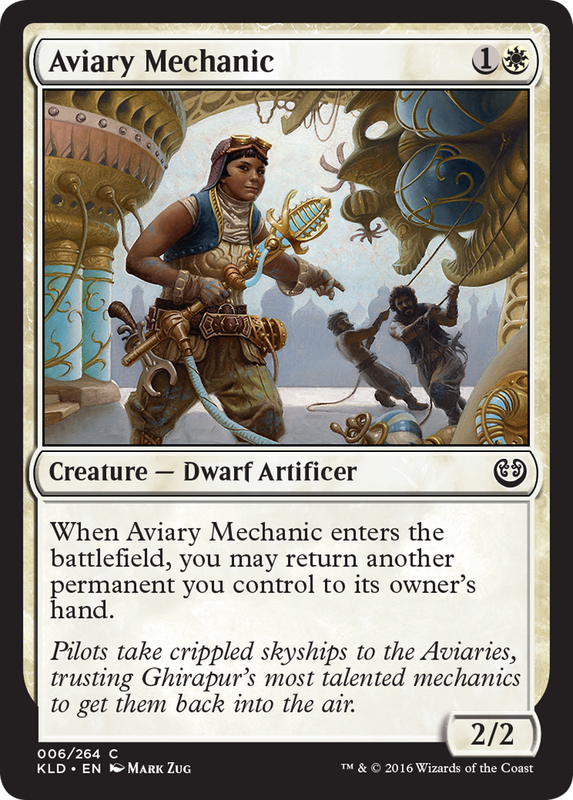 Aviary Mechanic. Card art by Mark Zug. 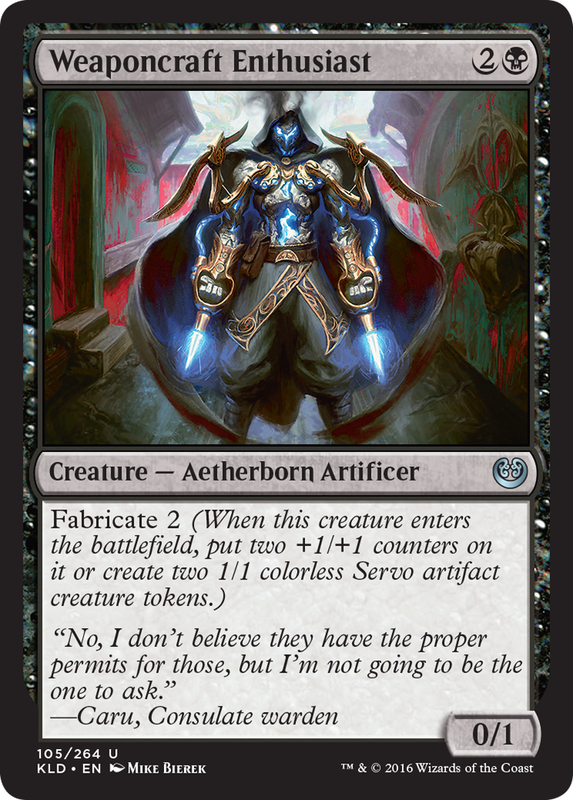 Ambitious Aetherborn. Card art by Josu Hernaiz. Highspire Artisan. Card art by Anna Steinbauer. 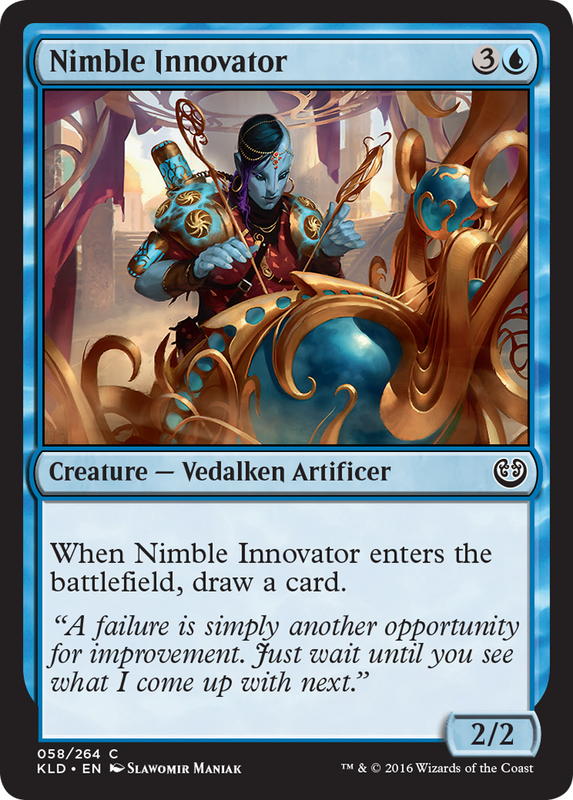 Nimble Innovator. Card art by Slawomir Maniak. 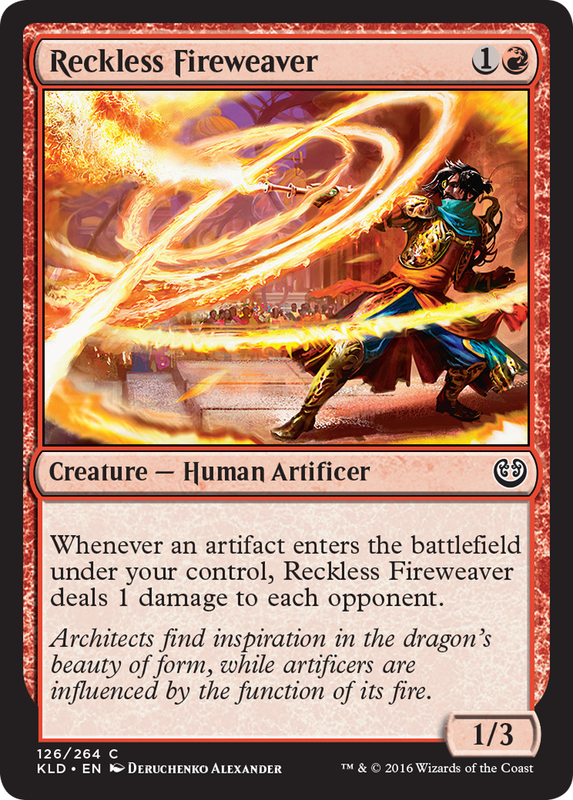 Reckless Fireweaver. Card art by Deruchenko Alexander. 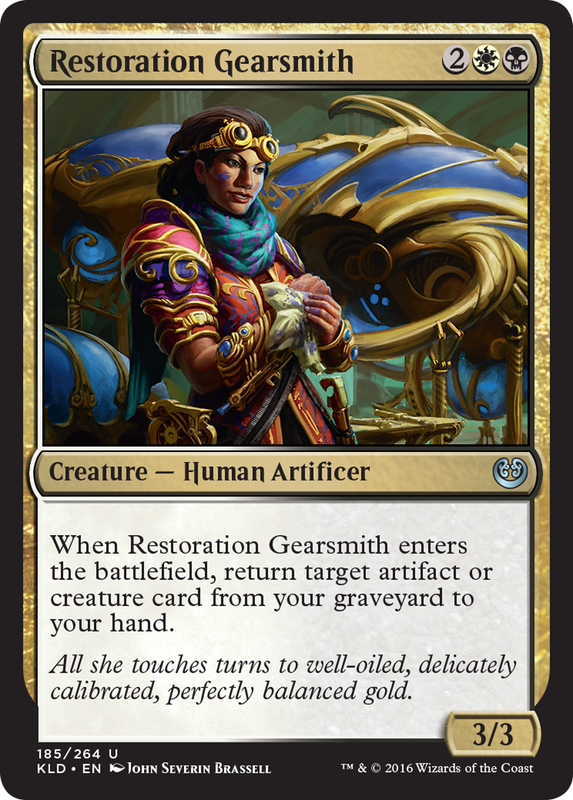 Restoration Gearsmith. Card art by John Severin Brassell. Weaponcraft Enthusiast. Card art by Mike Bierek. 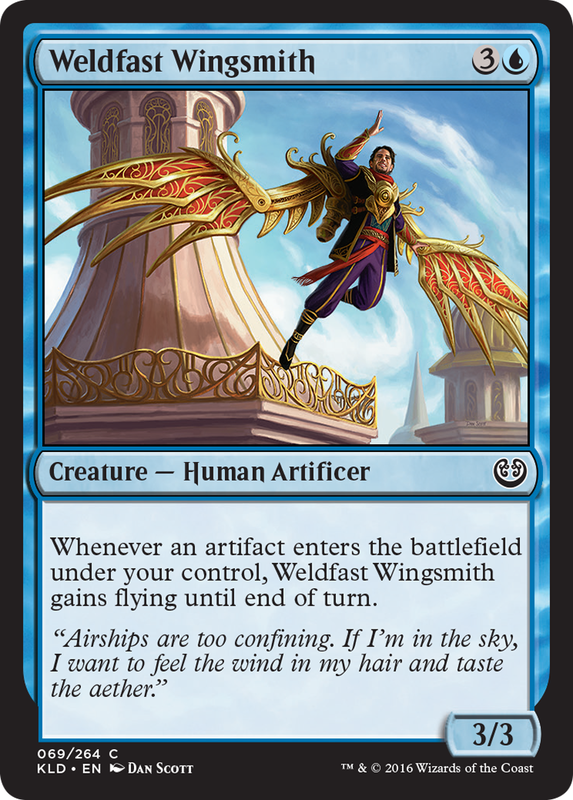 Weldfast Wingsmith. Card art by Dan Scott. Magic: The Gathering's Kaladesh expansion releases on September 30. 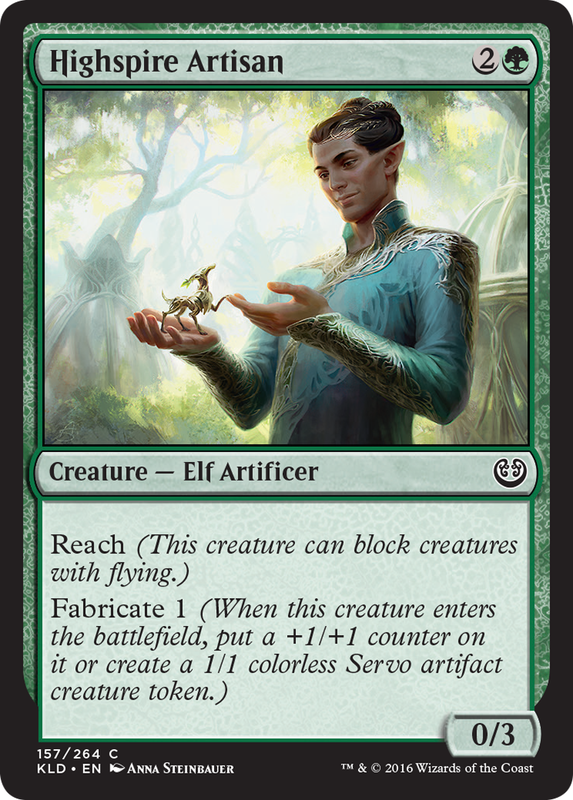 I want to give a special shout out to Panharmonicon for being the most potentially breakable Magic card I've seen in ages.